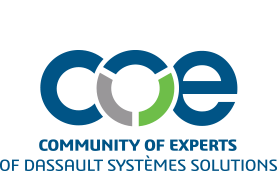 COE's Academic Foundation funds an exceptional group of student Dassault Systèmes users to participate in COExperience. This opportunity allows students to not only learn and develop new skills, but to network with industry professionals and other students. COE was pleased to welcome more than 70 students to COExperience in New Orleans. Aparna Chandramouli from Wichita State University attended COExperience for the first time and shared her thoughts on what she learned and what connecting with industry leaders meant to her. COE: Tell us a little about your background. What are you studying in school? 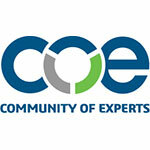 How did you get involved with COE (and when)? Aparna: I am a PhD student in Mechanical Engineering, at Wichita State University. I recently started getting involved in metal additive manufacturing, and simulating the printing process using Dassault Systemes’ 3DExperience platform. The idea is to precisely simulate the additive manufacturing process to understand the inner workings, and to reduce the cost of manufacturing. I heard about COE through NIAR (National Institute for Aviation Research), in October of 2018. I found it interesting, and decided to volunteer and participate soon after. COE: Since this year was your first time at COExperience, what were your initial thoughts? What did you get out of the event? Aparna: From the moment that I saw the events scheduled for COE, I was excited for it to start. The topics covered in these sessions are some of the most important aspects of my research interests, and I couldn’t wait to hear from industry leaders about them. I met so many people in industry who are interested in the work I am doing, and with whom I would like to stay in touch. In essence, I found people who could guide me in my area of interest, and eventually, my career. COE: What stood out most to you at COExperience? Aparna: A couple of things. I was impressed by the number of students who showed their interest in the event by participating or attending. It made me really happy that the organizers and sponsors of COE had set aside an entire day just for students! The second was the involvement of all the presenters and industry leaders who attended. They were very approachable and offered a wealth of knowledge without hesitation. COE: Why do you think it’s important for students to have a role in COE? Aparna: Often times, I hear that academia and industry are too far apart to bridge the gap(s). I happen to have a more optimistic outlook. I think everyone wins if we can help train students in their fields of choice while they are in university. They need to be equipped with the right mindsets, and the right skills to hit the ground running when they start their careers. One of the ways for students to understand where their fields would be in a few years from now, or even which field to choose, is by connecting with industry leaders. COE provides a platform to do that, while enabling companies to scout for talent. COE: What would your advice be to new students who want to get involved with COE and attend the conference next year? How can they get the most out of their time at the event? Aparna: I would suggest that they volunteer for the event and participate in the ePoster competition. Volunteering is a great way to get to know other students and industry professionals. It helps break the ice and open you up to more conversations, sort of a primer for networking. I would encourage more students to participate in the ePoster competition not just for the scholarship prize, but also for the experience of presenting and meeting people who are interested in your work. It is a lot of fun, and you get to learn about the interesting things others are working on. COE: Anything else you’d like to share about your journey with COE thus far? Aparna: It was very gratifying to see a lot of students interested in engineering and technology. As an engineering student myself, I thoroughly enjoyed the analysis simulations that were presented, and helping build bicycles during the TechniFair. I gained new friends and mentors at COE, and I had a lot of fun participating in it. I can’t wait for next time! Interested in supporting students like Aparna? Partnering with COE as a Corporate Academic Foundation Sponsor, provides the opportunity to support the best and brightest engineering students internationally. Corporate Academic Sponsors also receive access to resumes (there were 75 this year!) to consider for future employment. If you’re interested in sponsoring students for next year’s event, and interested in accessing student resumes from 2019 AND 2020, please contact coe@coe.org.